I'm sure many of you know about GetDeb but maybe some of our new readers don't. GetDeb is a very popular (for example, in July 2010, there were about 25144 unique Ubuntu Lucid users per day installing packages via) software portal that comes with an Ubuntu repository which you can use to install applications that are not available in the official Ubuntu repositories - this includes updated versions for various applications. 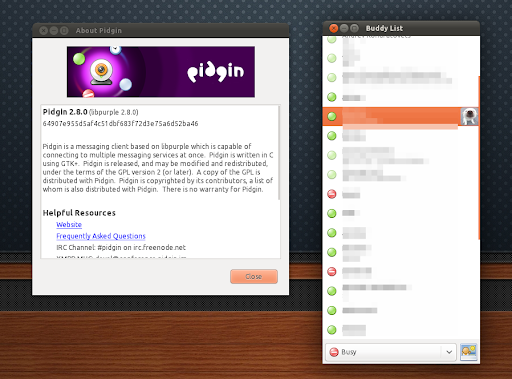 Until now I didn't really needed to use GetDeb in Ubuntu 11.04 Natty Narwhal, but the Pidgin PPA hasn't been updated yet with the latest Pidgin 2.8.0 (released about 3 days ago) so I though I'd check GetDeb - and indeed, GetDeb provides the latest Pidgin 2.8.0 (for Ubuntu Natty and Lucid - no Maverick it seems) as well as VLC 1.1.10 (for Natty only).